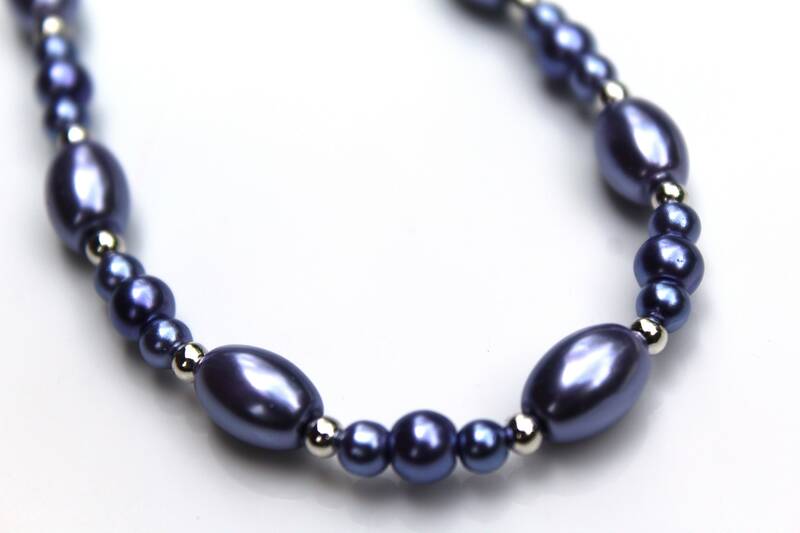 Deep purple and violet colored glass pearl beads make up this elegant necklace. I personally dislike spending a lot of money on pieces that are formal that you will only wear once. 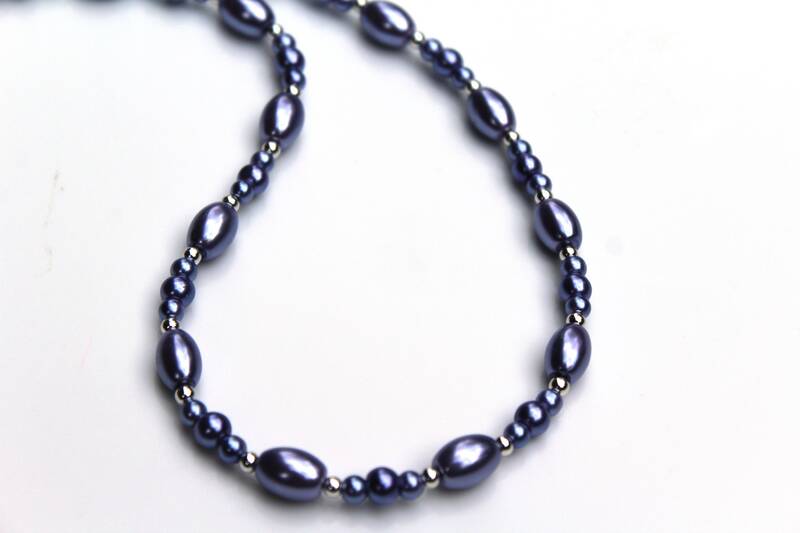 With this one, I attempted to give you a reasonably priced piece that is elegant looking, yet priced so well that you would not hesitate to wear it every day. 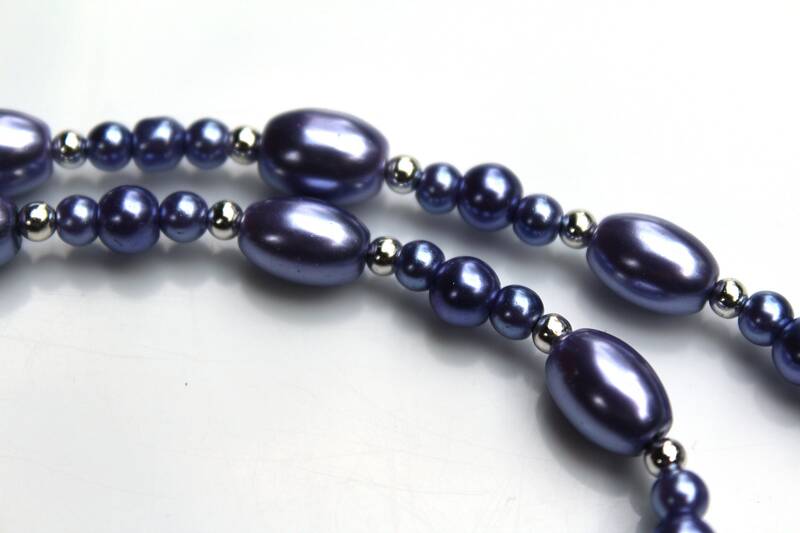 The oval beads are 11x8 mm. 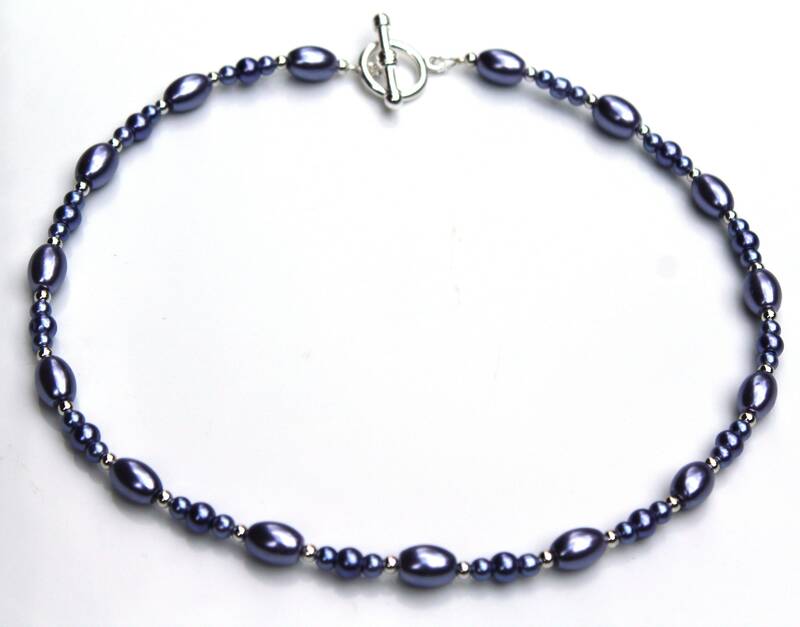 The entire length of the necklace is approximately 19 inches long. 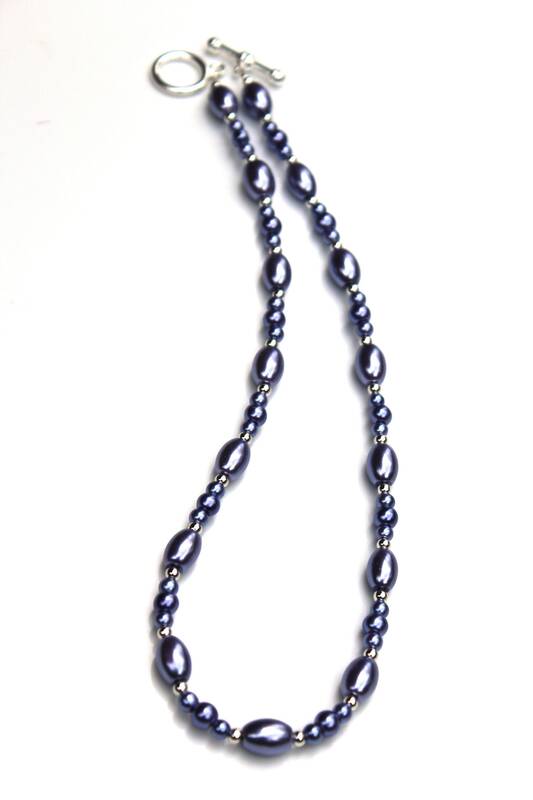 Enjoy the large toggle clasp I chose, to make getting it on and off so easy!